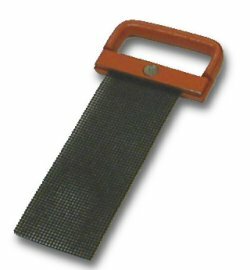 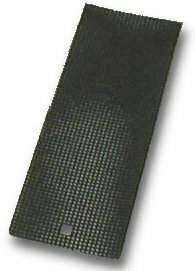 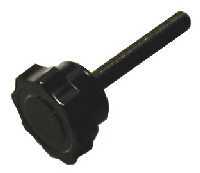 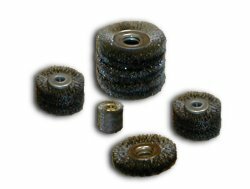 The D series wheel strippers cover many applications for stripping magnet, enamel and film insulated wires. 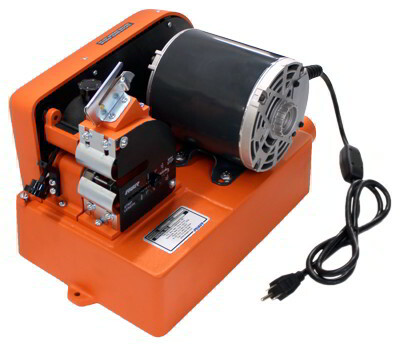 Round, rectangular and square section wires with insulation such as Formvar, ML, Dayglass, Isonel, Polythermaleze and many more can be stripped.The DV1 has an integral dust collection system to trap insulation residue as it is removed from the wires during stripping. 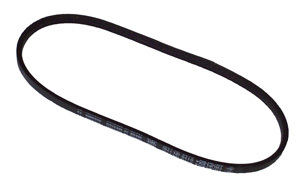 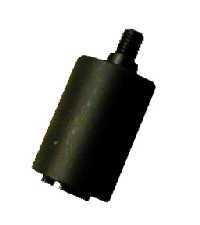 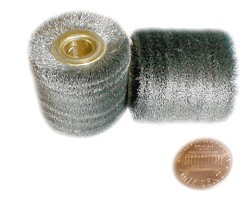 Fybrglass or wire brush wheels may be utilized with the DV1 to strip wires. 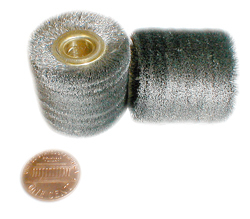 Fybrglass wheels rotate at high speed and generate frictional heat that softens the insulation on the wire and the “nap” of the wheel wipes it away. 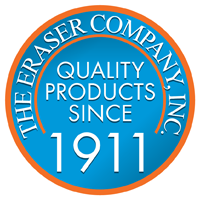 A clean polished surface is produced with no risk of nicking. 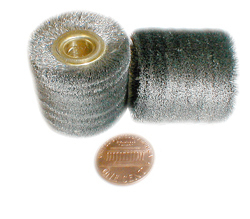 Wire brushes remove insulation by the cutting action of their many bristles. 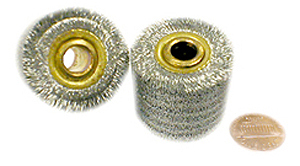 These are more abrasive than Fybrglass wheels and are recommended for larger wires where a roughened surface aids subsequent soldering. 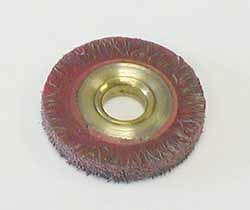 Wire brush wheels will also remove glass and fabric insulation. 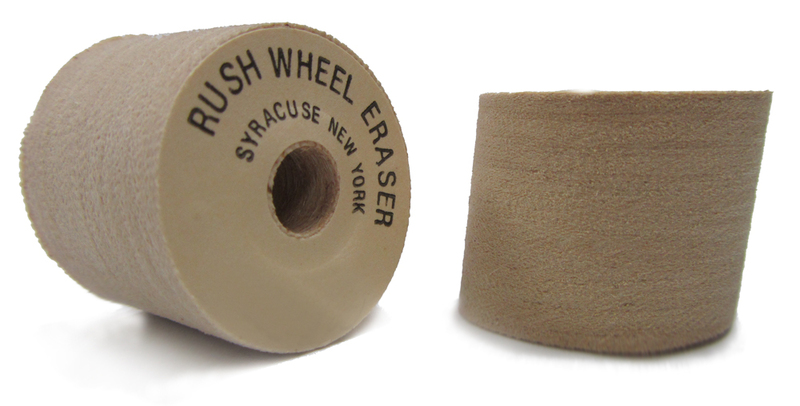 The selection of the correct grade of stripping wheel is critical.